SolarWorld Sun Deck - Elegant roof integrated solutions. Solar iBoost - Hot water solutions. Coretech Solar are at the forefront of Innovative solar products. We are constantly on the look out for new ways to help you save money and optimise the free electricity you can generate from your solar energy system. From battery storage options, in-roof solar energy systems and voltage optimisers, to solar tiles and hot water generators, Coretech Solar can find the best solution to optimise your solar energy. 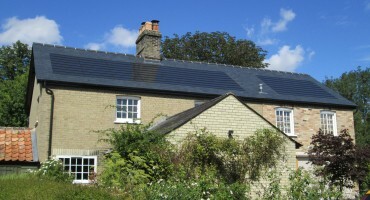 Solar Tiles – made to look like Welsh slate. 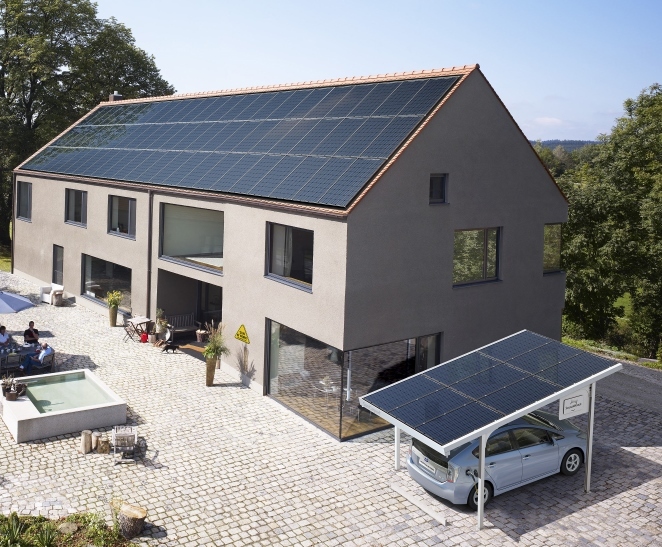 Solar Slate is an amazing product. So inconspicuous the untrained eye would have difficulty knowing it was there, it has been approved for use in National Parks. Solar Slate is barely distinguishable from Welsh slate, and blends seamlessly with your property. It is ideal for heritage properties, barn conversions, and individually designed houses. 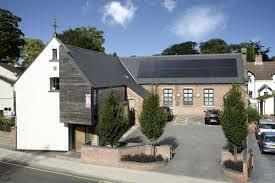 Contact Coretech today to find out further details about Solar Slate and how we can retain your property’s aesthetics. Coretech Solar also provide SolarWorld Sun Deck; elegant roof integrated solar solutions. Whilst these are not as inconspicuous as Solar Slate, they provide a more sophisticated appearance than traditional solar panels. If you are re-roofing or building a new property, they can be incorporated into your design, providing subtle yet effective solar energy. Click here, or on the image above to find out more details about SolarWorld Sun Deck. Solar Century C21e solar roof tile and slate system. Equally elegant is the C21e solar roof tile and slate system from Solar City. The C21e system is a premium product that fully integrates into the roof. This means that no flashings or weather-proofing is visable. Ideal for installed in conservation areas, on Grade I buildings and in areas of national beauty. Provide savings of up to 20% in installation and building costs, when compared with installing traditional on-roof solar. Fewer tiles and slates are needed as C21e replaces the conventional roof covering. C21e is installed at the same time as your roof is being built. Therefore there is no need to coordinate multiple trades and scaffolding. A 4kWp system takes as little as one day to install, so it won’t slow down the construction process. Contact Coretech today to find out further details about C21e or any of the innovative solar products we can provide.